At Cerritos INFINITI, we believe no vehicle brand comes close to competing with the style, performance, and luxury that INFINITI brings. But, comparing INFINITI models to their cross-brand counterparts can be an illuminating exercise for further fueling your new car research. That’s why we created our online Cerritos INFINITI car comparisons, to make sure you have as much information as possible to guide your INFINITI research. When it comes to high-quality vehicles, INFINITI is a brand that’s recognized around the globe. Combining advanced mechanics and luxury amenities, INFINITI models bring out the enthusiast in all of us while providing topnotch safety, comfort, and convenience. Our INFINITI car comparisons stack the talents and offerings of each INFINITI model against the abilities of its segment rivals from other popular car brands. What do our comparisons dive into? The deciding factors that mean the most to buyers like you. Learn how INFINITI sedans, coupes, crossovers, and SUVs take on their competition in the areas of vehicle performance, styling and features, passenger space, safety ability, and more. 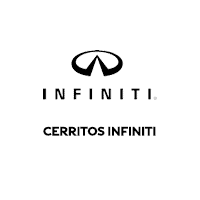 Cerritos INFINITI is your premier INFINITI resource in Cerritos and a well-known INFINITI dealer serving Long Beach, Torrance, and Fullerton. We keep a wide variety of new INFINITI vehicles in stock and strive to ensure the models we compare in our research offerings have a strong representation in our inventory. When you visit a reputable dealer like Cerritos INFINITI, you can compare a variety of models, at your convenience. Once you’re ready to decide, feel free to use the contact form on the right to schedule a test drive. Ready to see how the INFINITI model you’re considering compares to its top competitors? Click on the comparison link you want to explore, organized by model on this page. If you want a wider look at what sets INFINITI apart from other luxury car lines, check out the brand comparison section underneath the model-to-model matchups. Happy comparing, from your friends at Cerritos INFINITI!